The world of content marketing is growing with no signs of slowing down in the near future. 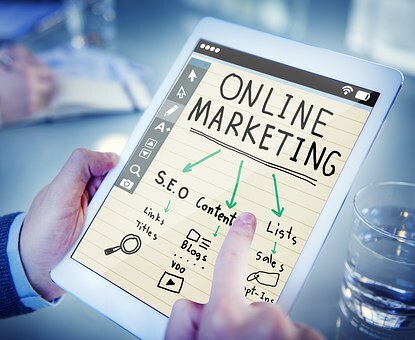 The appeal of starting a digital marketing company is that of not needing much more than a reliable computer with an internet connection. This does not mean that this is all you will need to be successful but the money it takes to start working is very little if any if you already have internet and a personal computer. The following are things that you will need to start a content marketing business. Reliable writers are the staple of any content marketing business. You might just start out with a few including yourself as you want to boost profit margins by handling any work that you can personally during the infancy of the business. You will need to find writers that hit deadlines, need little direction, and communicate in a clear way. Doing publisher outreach can be tedious but a healthy relationship with a publisher can be mutually beneficial. They receive quality content while you get to promote your clients on their platform. Track outreach to see which pitches are working and which ones are not even being opened. Most publishers need quality content so offer content without clients mentioned to build the relationship then ask to mention a client later. Growing a small client base is a great way to start a content marketing business as you do not want to alienate a consistent client by starting to deliver less than acceptable quality of content. Upwork is a great place to start growing a client base with many companies looking for long term partnerships. You might have to lower prices to start but most clients will be willing to pay a bit more if they know the quality of work they will be receiving. As you can see if you put the client and content quality first it is more than possible to grow this business into a success. Take your time and scale processes to ensure quality stays high and clients stay happy. « 5 Incredible Tools to Help Boost Instagram Engagement!